Thaipoosam is an important festival dedicated to Lord Muruga or Kartikeya. It is observed in the Tamil month of Tai or Thai (January – February). Thaipusam 2019 date is January 21, Monday. It is celebrated mainly by the Hindu Tamil speaking community in India (especially in Tamil Nadu, Kerala, Karnataka, and Andhra Pradesh), Malaysia, Singapore, South Africa, Sri Lanka and in many other parts of the world. Legend has it that Lord Muruga, son of Lord Shiva, killed Tharakasuran and other demons who were creating mayhem on earth on Pusam star in the month of Thai. Thaipusam is celebrated to commemorate this victory of good over evil. The most important event on the day is that of devotees carrying various types of Kavadi to the Murugan temples. The most important Kavadi pilgrimage takes place at the Batu caves in Malaysia. 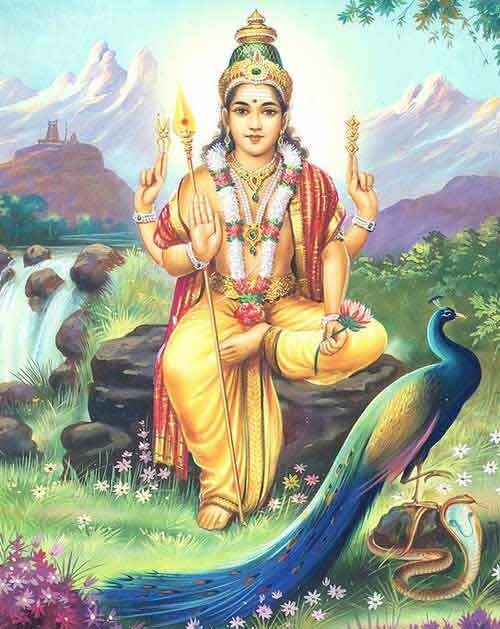 Lord Muruga is also known as Subrahmanya, Skanda and Kartik. What to do on Thaipusam Day?